Are you guilty of hiring clone employees? Should you hire an 'overqualified' candidate? organisation. Getting it wrong can cost you in lost productivity and can mean you end up recruiting twice. Getting it right should allow you to delegate more and have more confidence in your team. This month, TPP looks at a few ways you can quickly and cost-effectively improve your recruitment. When you are replacing members of staff, particularly if you are in a hurry, it is tempting to put together a job description as quickly as possible, usually just copying the role requirements of the previous incumbent. However, spending a bit more time reviewing the job description and person specification prior to starting recruitment will really pay off in the long run. A detailed brief that defines not only the needs of the role and the organisation, but also the qualities of your ideal candidate will help you to judge interviewees objectively against set criteria, and avoid over-reliance on ‘gut feelings’. While putting together a job description, you may also find that some duties would be better split or moved around the department, rather than just replacing like for like. For more advice, see our previous blog post on writing effective job descriptions and person specifications. Traditionally, January is the month many organisations start big recruitment drives, as there tend to be more jobseekers around as people resolve to improve their working life in the New Year. However, it also means your vacancies are competing against those from other organisations, so it may be worth considering moving your recruitment to a different time. In fact, almost half of British firms plan to recruit before the New Year starts. It’s definitely worth keeping an eye on the recruitment of organisations similar to yours. If they are running a recruitment drive at the same time as you, this could be a benefit as your brand can ‘piggy-back’ on their efforts, but it may also lead to competition for the same candidates. As well as reducing competition for jobseekers, recruiting at less popular times of year, eg around national holidays, could also get you better deals on advertising on job boards or in publications – making your recruitment budget go further. 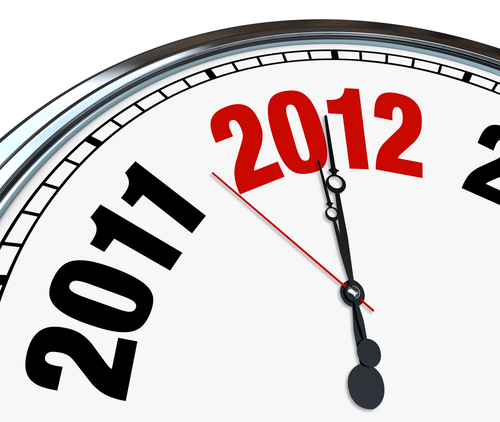 2012 will be a particularly eventful year, with the Queen’s Diamond Jubilee in June and the Olympics starting in late July. Even if you need to replace a staff leaver asap, don’t feel pressurised into rushing your recruitment. Consider using temporary or fixed term contract staff to fill the gap, giving you more time to define the role and allowing you to wait for the perfect time to recruit. If your organisation hasn’t already got one, putting a preferred supplier list together can have some excellent benefits for your recruitment, the most obvious one being saving you money, as recruitment consultancies included in a PSL usually offer a discount on their standard terms. However, PSLs also establish relationships with your recruiters, with expectations and levels of service agreed in advance. This saves you time both in recruitment and administration, and ensures a consistent quality of service across all roles and departments. Using a small set of suppliers on a regular basis also means they are likely to have a better understanding of how your organisation works and the type of employee that will fit your culture. You can read more about setting up PSLs in our previous blog post on making your recruitment budget work harder with PSLs. Your internal employee base is a great resource for recruiters, but one that is often neglected. As well as an obvious source of in-house candidates, your employees are also your best source of referrals, as they usually have a network of contacts with similar roles in the not for profit sector. Ensure all your vacancies are well advertised within your own organisation, make sure you advertise them on your organisation’s social media channels and ask your employees to redistribute to their own contacts and consider setting up an employee referral incentive scheme. You can also use your existing employees to help with the recruitment process. Allowing them to give feedback on the job description and person specification prior to recruitment is likely to help ensure that a new employee works well with the rest of their team. Existing employees can also help you review CVs and sit in on interviews, to give you an additional point of view. Finally, don’t forget to give your staff leavers thorough exit interviews, and to feed the results back into your recruitment programme. This is one of the best ways to improve staff retention, as it addresses problems when they arise. See our past blog on the 3 stages of a successful exit interview for more help. Your employer brand is simply your organisation’s reputation as an employer, and should accurately reflect the values and culture of your organisation. It is particularly important to protect your employer brand in the charity sector, where being seen as an ethical organisation, both internally and externally, is vital to attract new employees. There is also a big overlap between your employees, volunteers and supporters, so damaging your employer brand could lead to a drop in support for your organisation’s mission. Even if you cannot compete in terms of salary with other organisations working to attract the same type of candidate, you can still distinguish your organisation as a great place to work. Make the best possible use of staff benefits to attract candidates. Offering flexible working options is particularly attractive to jobseekers in the third sector. Managing your employer brand is also about ensuring that every interviewee you see has a good experience, regardless of the eventual outcome. Providing as much feedback as possible is key to this. See our blog on lack of interview feedback can damage your donations for more information.